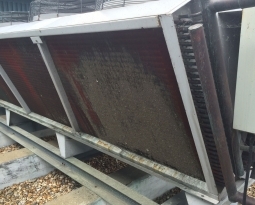 Since 1957, Permatron products have featured the unique Accumulator Chamber construction for effective and efficient filtration. 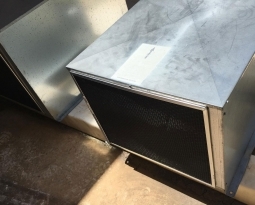 Many years of experience, thousands of filters, and independent laboratory tests have proven that the engineering design of Permatron air filters enables them to outperform the competition. Each one and two inch thick Permatron filter represents a miniature filter bank; there are in fact two filters in one. The three-frame construction is lightweight and maintains strong support and assures that the media is firmly held in place even over long, hard use. Between the two filter panels is an air space, this is our exclusive Accumulator Chamber. Permatron woven filter media allows air to flow through, enhancing its electrostatic charge. This media never loses its charge. 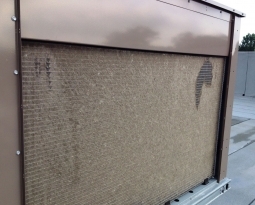 The airborne particulates are attracted to the media and build up on the fibers without face loading. 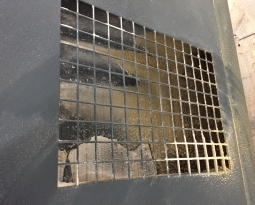 If an excess of particulates builds up on the prefilter, they tend to break off, allowing air flow to sweep them through the prefilter into the Accumulator Chamber. Cross currents within the Accumulator Chamber cause further accumulation and some settlement until the filter is rinsed. 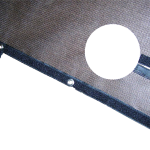 The afterfilter (back panel) attracts and holds particles that escape the prefilter or do not respond to an electrostatic charge. 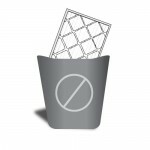 Washable air filters mean least cost over useful life. Using our filter bank design and exclusive Accumulator Chamber, a highly effective three stage filtration process is created. The prefilter/afterfilter assembly promotes free air flow with superior dust holding capacity while resisting face loading.